LYATT 500. The full programme. 13 modules over 18 months. 50 full days training: €5,500. Early bird by September 30th, 2018: €5,000. Payment plan available. ‘Two words come up for me a lot when thinking of my experience on the Living Yoga TT: curiosity and permission. I learned so much about the body and all it did was stoke an endless curiosity and wonderment in my own. Permission because there was always space to explore my experience without there being one right answer. All of this shifted my teaching from a mode of ‘do this, feel that’ to ‘try this and what do you feel?’ This shift, which was a scary one, has been so worth it, seeing the impact on my own practice and my students’ practice, and it continues to ripple out into all areas of my life’. Check our website, join the Living Yoga Facebook page, or sign up to our newsletter for up-to-date news on events in your locality and to hear about all the other goodies on offer. What does it mean to be organ-ized in a yoga practice and how can that help us? How do we experience the fluidity within form and vice versa? What does it mean to embody our inner fluid rhythms and innate adaptability? 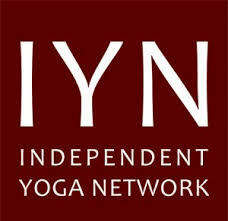 The 500-hour 13-module training is accredited with the Independent Yoga Network (IYN). Those completing the full 500 hours may be accredited by IYN without requirement for a prior 200-hour qualification. We ask you to complete an interim self-reflection paper and class presentations in Modules 9 and 13. The IYN 500 constitutes 50 full days training which includes 360 contact hours and 140 non-contact hours. The non-contact hours include home practice, study buddy sessions, review and consolidation of class materials. We will ask you to keep a learning log or home practice journal to help record your practice.